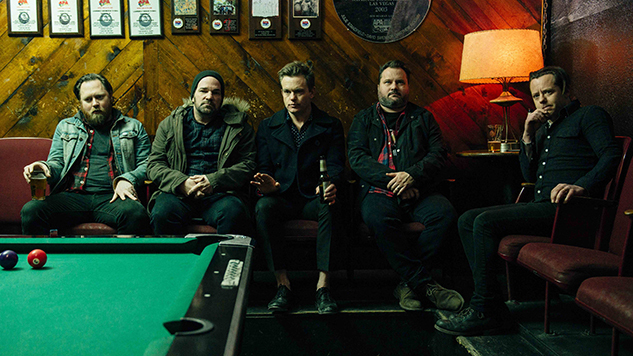 The Get Up Kids have unboxed the video for “Satellite,” the new single from their first full-length album in eight years, Problems, out May 10 from Polyvinyl. I started writing ‘Satellite’ about my son who’s 14 and a total introvert—not antisocial, he just genuinely likes to keep to himself. But then somewhere down the line I started singing about myself—about how even when you’re playing a show to a room full of people, I can still feel anxious and isolated. Drift away to the video for “Satellite” (dir. Kerstin Ebert) and listen to The Get Up Kids’ 2009 visit to Daytrotter below, and keep scrolling for album details, European tour dates and details of their sets at SXSW.